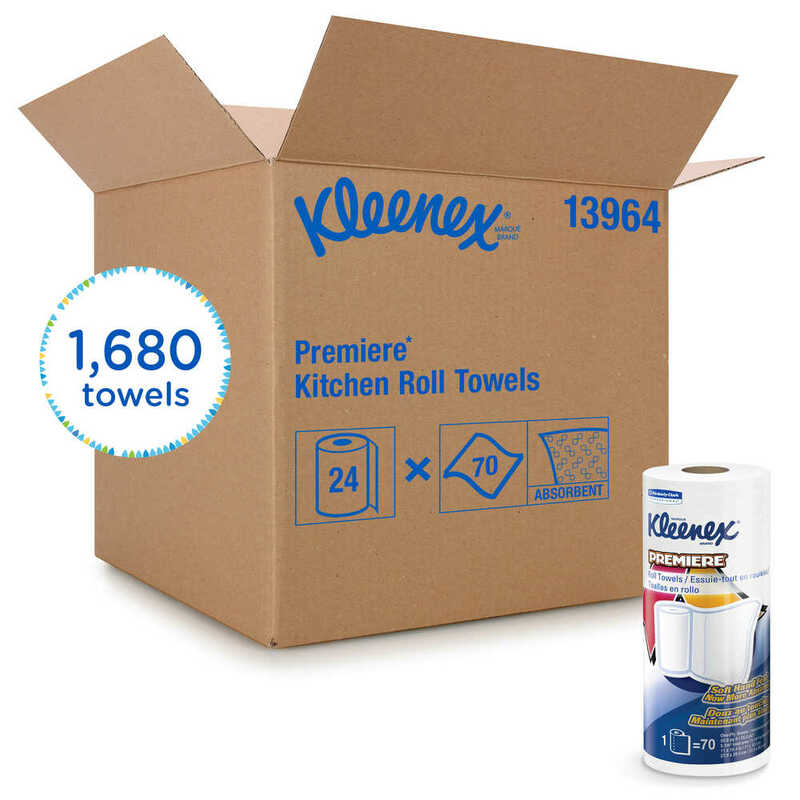 Are you ready to upgrade your experience with paper towels? 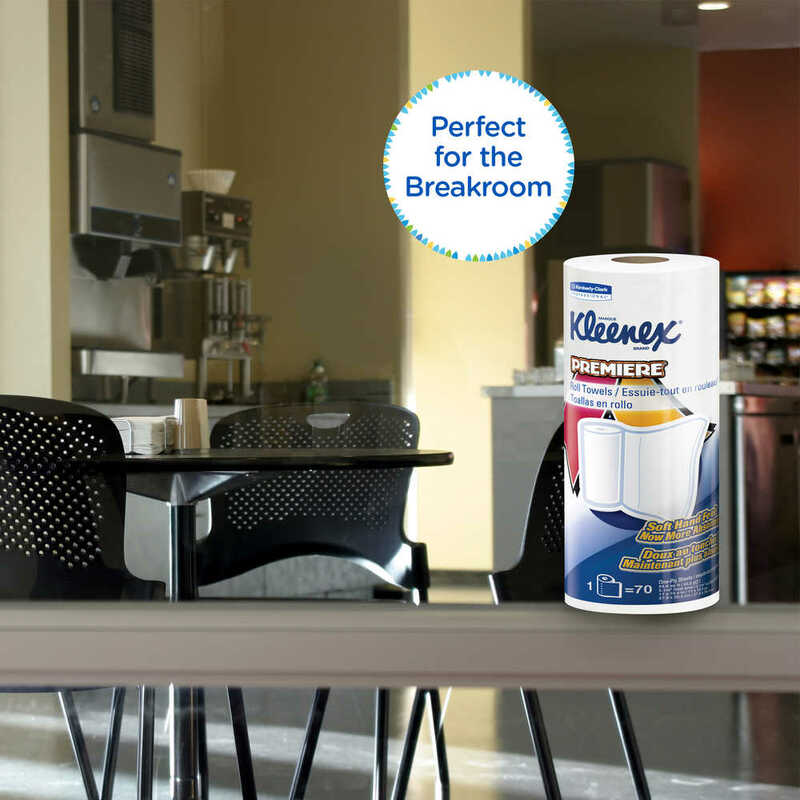 Kleenex Premiere Kitchen Paper Towels have a premium, cloth-like feel. 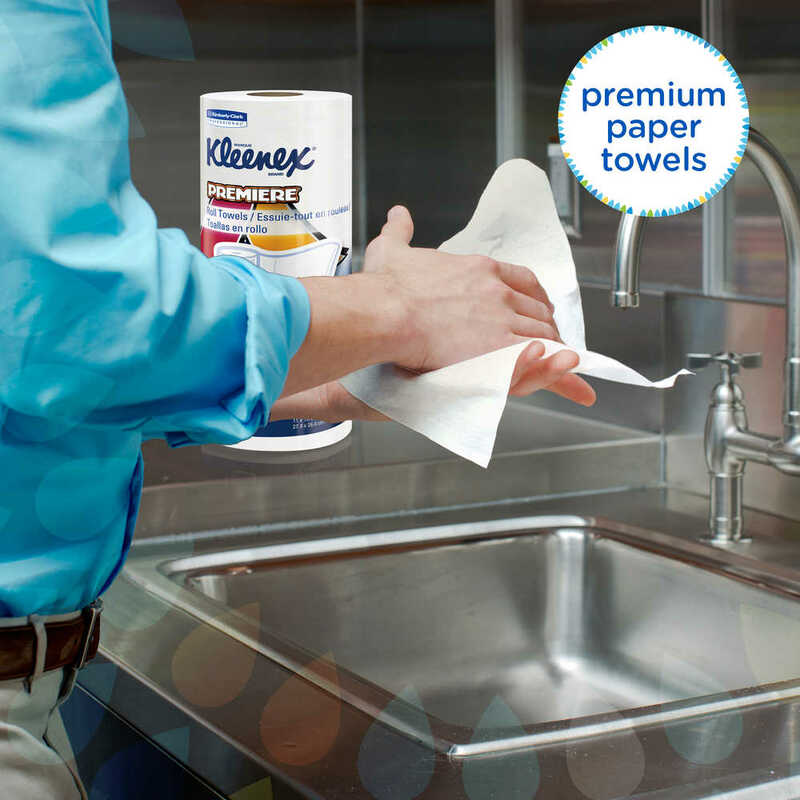 These strong Kleenex paper towels work well for scrubbing and wiping up spills. 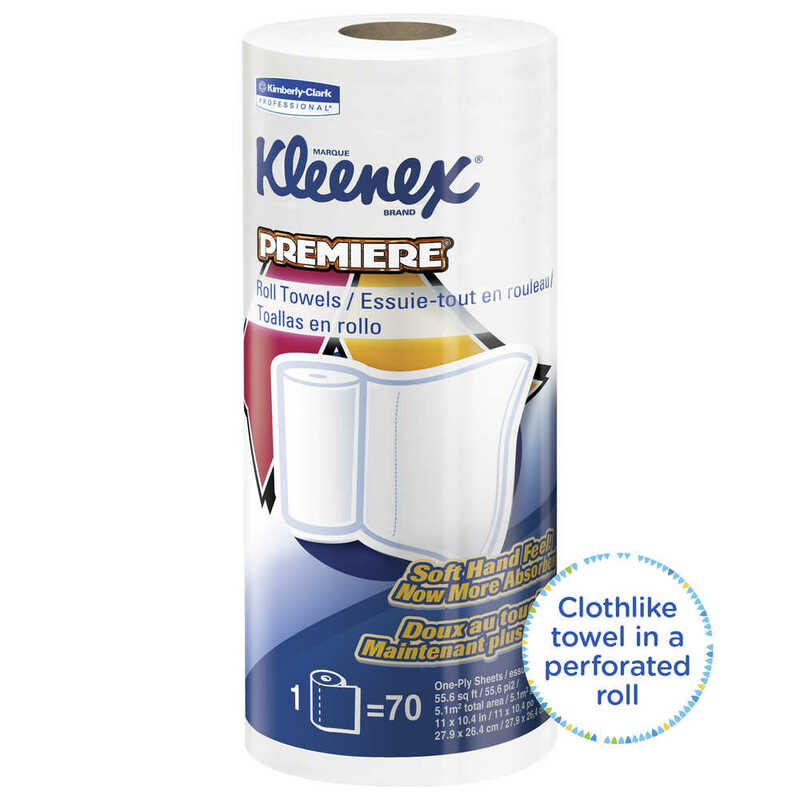 Even though these premium kitchen towels are tough on cleaning tasks, the cloth-like material is soft on your skin. 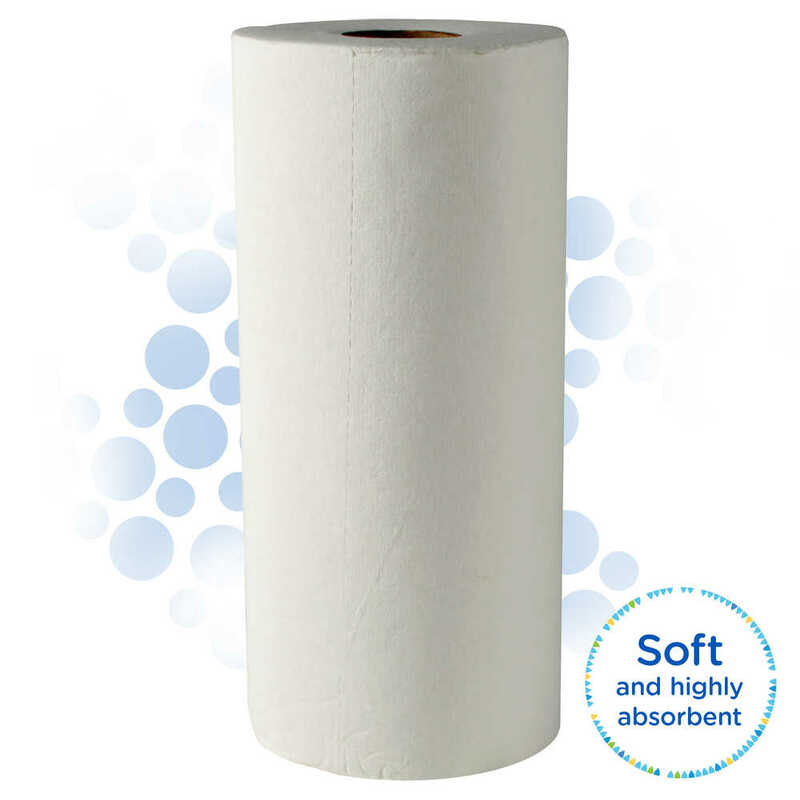 Each one-ply sheet measures 10.4" x 11" and is designed for tear resistance, absorbency and durability. 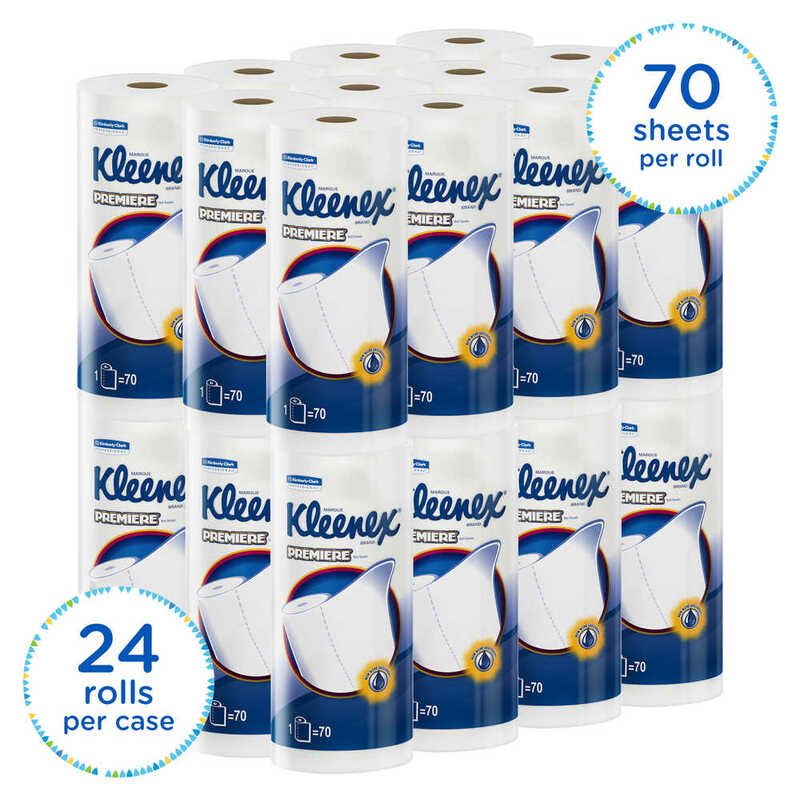 There are 70 sheets per roll, and each one lets guests and employees know these are premium paper towels. They're soft enough to use at home (or for a home business! ), but strong enough for commercial uses.